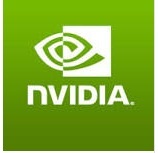 About Us:- Nvidia Corporation is an American technology company based in Santa Clara, California. It designs graphics processing units for the gaming market, as well as system on a chip units for the mobile computing and automotive market. Achieve high quality of NVIDIA Automotive Software and Products. BE/B.TECH./M.TECH/BS/MS/MCA with 0-2 years of experience. Linux Internals working and configuration knowledge – Kernel, Bootloader, Root Filesystem Hierarchy, Storage Filesystem, Toolchains, Build systems, Networking, X11, Commands and Utilities. Knowledge of Computing Fundamentals like DMA, PIO, Cache Management, Interrupt Handling, CPU Scheduling, FPU and Memory Management. Ability to read C, C++ and Low-Level code. Ability to write Bash, Python Scripts. Working knowledge of Measuring Instruments like Oscilloscope and Multimeter. Good written and verbal communication skills - articulate succinctly knowledge and ideas. Excellent analytical skills for troubleshooting and issue resolution.